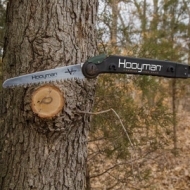 The new Hooyman 10 is built just like the original Hooyman Saw. The MegaBite blade uses a high carbon SK5 steel in a tapered blade design, combined with an impulse hardened 4 edge tooth that has improved tooth geometry for unmatched cutting performance and a longer cutting life. 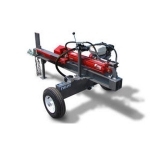 I-beam aluminum construction, In-line design, and the positive locking extension system combine to give you incredible cutting stability – even at full extension. 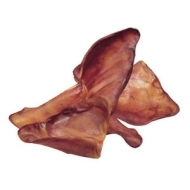 The lock-back blade folds down with a touch of a finger. NEW VALUE PACKS featuring our popular Re-tractable Ratchet straps in our NEW Green Package, a reusable storage bag with zipper. Simply place the straps back in the bag after every use. The performance of gasoline and the convenience of liquid propane in the same generator that includes one of the most powerful Ducar dura-life engines in its product class make the PG7500B a serious contender for both daily use and/or storm related emergencies. 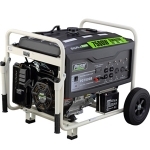 This electric start, 7500 peak-watt, outdoor generator includes dozens of wanted features such as a keyless, electric-start ignition, maintenance-free battery, easy-to-read fuel gauge and a mobility kit with over-sized, no-flat tires and convenient fold-down handle, PLUS the ability to switch from gasoline to clean, safe, convenient LP whenever its needed to power multiple devices. 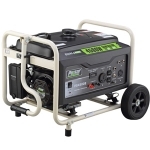 When you need the convenience of portability and the power to perform, the Pulsar PG4500B back up generator is a strong candidate for satisfying your power needs. 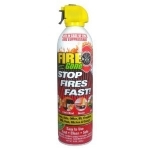 Ideal for outdoor projects, or use away from a power grid such as at the job site, camping, cottages or even on boats along with weather related emergencies at home, this unit will perform on ether gasoline or liquid propane with a few small steps that take less than a minute to complete. J&D Manufacturing's line of Super Scrapers are built for comfort and strength. 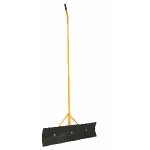 Our scrapers are ideal for pushing snow, dirt, manure, grain, and scraping stalls and walkways. 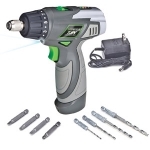 Genesis GLSD72A power screwdriver is powered by 7.2V Lithium-Ion battery. It features 1/4” Hex quick-change chuck,16 torque/clutch setting, two speeds (200/400 RPM) for versatility. Built-In LED work light and battery charger with level indicator. 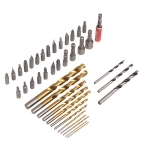 4 hex shank drill bits and 4 screwdriver bits included. Fan Forced Utility Heater. 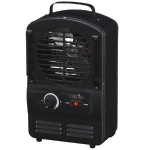 2 Heat Settings or Fan Only Mode: 900w (Low) or 1,500w (High). Adjustable thermostat. 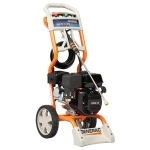 Ergonomic Spray GunWith its large Generac OHV horizontal shaft engine and easy-access axial cam pump, the 2500PSI power washer is ideal for cleaning everything from patio furniture to siding to decks around the house. 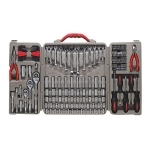 This set contains all the tools needed for most industrial applications, including 1/4", 3/8", and 1/2" quick-release ratcheting drives, with a wide selection of standard and deep sockets in the most common SAE and metric sizes. 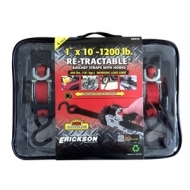 All tools in this industrial-quality tool set meet stringent new ANSI and ASME specifications and come with a full satisfaction guarantee. 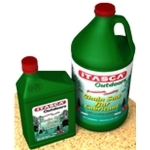 Itasca Bar and Chain Oil is a superior lubricant designed especially for lubrication of bar and chains on chain saws and open and enclosed chains on motorcycles, snowmobiles and lawn and garden equipment. 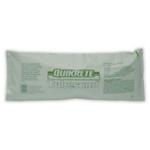 QUIKRETE Tubesand is a tube-shaped bag fits along side rear axle, above wheel wells or in bed of pick up trucks. Convenient, quick-release button operation. Increases fastener contact area for maximum torque. Raised-letter ID on storage case for easy identification. 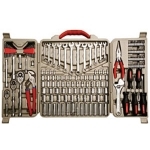 Tools lock firmly in place and stay organized. Tools meet stringent ANSI and ASME specifications. 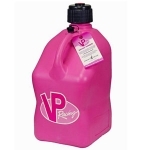 For each pink container sold, a percentage of the proceeds will be donated by VP Racing Fuels to support the cancer prevention research, education and community outreach programs of the Prevent Cancer Foundation. 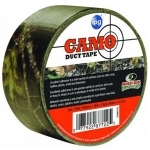 Mossy Oak Break-Up camouflage patterned duct tape tears easily by hand without curling. 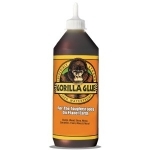 Adhesive conforms and bonds to almost any surface, including cloth, vinyl, leather, plastic, metal and laminates. For the decoration and repair of ATV’s, tree stands, backpacks, canoes, kayaks, rifle/crossbow cases, hunting boots and more. 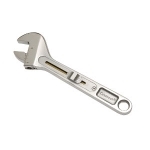 Crescent, Rapid Slide Adjustable Wrench, Slide Button Mechanism In Handle For Quick, Fast Adjustment, DIY, Industrial Or Professional Use, 1.25' Jaw Capacity Allows Tool To Work With Various Fastener Sizes, Wide Handle For Increased Leverage, Debris Shield Protects Slide Mechanism & Maintains A Smooth Operation, Forged Steel, Chrome Finish Resists Rust & Corrosion, Polished Head, SAE/Metric Size Indicator On Jaw. 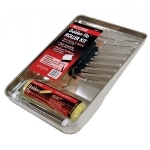 paint tray, 11" wide for easy roller refill. 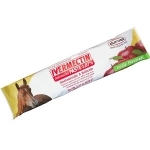 Use for transferring bulky materials, such as manure, hay straw or barley. 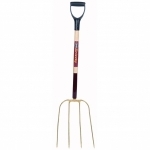 4 tine manure fork has d-handle and longer tines with wide spread and heavy forged construction. The perfect fork for hard and continuous use.